Selecting the best nursing school in Arizona can be difficult. To make the process easier first look for a school that supports students towards licensure and beyond. A great way to measure this is through NCLEX-RN "pass rates." We have ranked the top 10 nursing schools in Arizona by analyzing current and historical NCLEX-RN "pass rates", meaning the percentage of graduates who pass the exam, out of the 28 RN programs in the state. Programs reviewed include schools that offer an Associate in Nursing (ADN/ASN), BSN, or Direct-Entry MSN Degree. Arizona prides itself on having some of the most renowned hospitals with high quality nursing staff. The state research shows that by having a Bachelor's of Science in Nursing (BSN) there is a parallel to increased salaries, career advancement opportunities and a greater drive for furthering education. The trend for furthering education is on the rise, which in turn has a predicted employment rate increase of approximately 25% by 2022 in the state of Arizona. Arizona is committed to providing the best quality nursing care and encourages maximizing your potential for career advancement by furthering your education. Students beginning their career as a nurse with an Associate's Degree in Nursing (ADN) diploma will learn core nursing skills that are expanded upon by clinical placement throughout the duration of the program. Usually lasting 2 years or so, successful nursing graduates will be eligible to test for the NCLEX exam upon graduation. Throughout the state, more than 20 community colleges and private colleges offer an ADN program with the intent to help students qualify as a registered nurse. 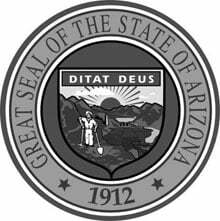 The Arizona State Board of Nursing makes evidence-based regulatory decisions about nursing programs that operate throughout the state, as well as about individuals' fitness to practice registered nursing, both as service to the public. Unlike some other states, all colleges and universities that offer nursing programs throughout the state are accredited - no 'nursing program' is allowed to operate without accreditation. Accreditation takes place under board review. The state's Board of Nursing provides an online verification of nursing licensure that is free of charge to the public. Patients are able to check nurse licensure or privately file a complaint about an individual or nursing program. 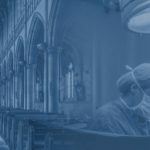 The licensure database is also accessible to healthcare employers and works closely with post-secondary institutions to ensure the integrity of the nursing profession. Mohave Community College is but one example of an accredited program. With campuses in Bullhead City, Kingman Lake, Havasu City, and North Mohave, Arizona's medical policy-makers seek to ensure that AAS programs are accessible to students throughout the state. There are a variety of factors that determine tuition costs for nursing students. Some schools offer a yearly cost, some offer tuition information per credit hour. In specialized programs like the ADN, costs may or may not be included along with tuition. To complicate matters even more, there is often a different pricing structure for in-state students; financial aid is also available. For an example, Glendale Community College gives in-county students a tuition-credit-hour cost of under $100 plus applicable fees for the college and the nursing program, as well as supplies, equipment and uniforms. Offered in a variety of disciplines, students that graduate with an diploma may go on to explore further education options at the bachelor's degree level (BSN for nurses) or take advantage of immediate career options. With lower tuition costs, it is often the case that AAS diploma graduates often have a lower debt-load when they are done school and enter the workforce. Often ideally suited for students who enjoy more hands-on workforce activities with only the minimum of theoretical 'book learning', the ADN nursing degree offers lots of flexibility on a short timeframe. Current Licensed Practical Nurses (LPNs) in Arizona may wish to continue their education by attending an LPN to RN program. Graduates of these accelerated programs are eligible to sit for the NCLEX-RN to earn licensure as a registered nurse. Nursing is an exciting and rewarding profession and the professional designation carries acclaim and respect throughout the world. With the increasing knowledge and labor challenges in the healthcare industry, job openings and career advancement for RNs with a BSN degree are expanding steadily. BSN graduates who pass the NCLEX for licensure can then choose from a variety of practice areas and related disciplines (like policy and informatics) and begin to shape healthcare over the course of their lifetime. In many ways, a BSN degree is the foundation of your nursing career. BSN students should be prepared to engage in a scientifically rigorous and culturally diverse learning environment. With experienced teachers and instructors who themselves have professional accreditation and acclaim, nursing students can take advantage of rich learning opportunities both in the classroom and in clinical rotation. Students should ensure that their teachers are members in good standing in the nursing profession and that the program itself is in good standing from an accreditation and licensure perspective. Northern Arizona University is home to a renowned BSN program. The school offers a traditional program on a four-year timeline, as well as an RN-to-BSN option and an accelerated option for those who already have an undergraduate degree in another field. Demand is high, with as many as 600 applicants for 150 spaces every year. The typical length of a BSN program in Arizona is 4 years; however, each institution has the capability to offer programs that capitalize on a student's former experiences. Two methods that are often employed in this regard are the RN-to-BSN track and the Accelerated BSN track. While criteria vary by the individual and the program chair's discretion, either option usually takes about 2 years, or half the time of a full BSN undertaken by a freshman student. Tuition costs vary between states and between each institution. While a portion is paid by the taxpayer and from other government subsidies, tuition costs are definitely on the rise. While financial aid is available to most, it is important to consider the cost of tuition for the BSN programs that you're considering applying to. Phoenix's Arizona State University BSN program has tuition costs that average about $510 per credit hour, depending on the program track in question. The choice to pursue a BSN degree concerns more than the institution you attend. Some nurses find that university provides the knowledge, network and confidence to improve your world, in addition to the skill sets that an AAS degree provides. For freshmen or those returning to school after time in the workforce, a BSN provides a bevy of experiences and opportunities for nurses. MSN - or Master's of Science in Nursing - programs for nurses are increasingly common as what we learn about the human body, health and disease is expanding at a rapid rate. Those nurses that choose to complete their BSN and NCLEX may choose to continue their education by undertaking an MSN degree at their alma mater or other school. At the present time, a few school offerings in Arizona have the MSN course track. Those that do are nationally accredited through the Commission on Collegiate Nursing Education. 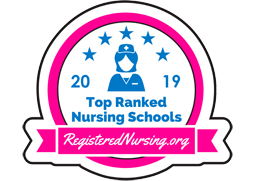 The state's MSN programs are licensed by the Arizona State Board of Nursing; students and their programs are connected to both the American Association of Colleges of Nursing and the Western Institute of Nursing. With rigorous training at the undergraduate level, nurses may wish to carry on their studies and pursue a master's degree - known as an MSN. Admission to the University of Arizona's two MSN tracks is highly competitive. Candidates who wish to apply are advised to use the following information as a minimum entry requirement as criteria can change with demand. Tuition for MSN students is definitely higher than for the AAS and BSN credentials but the job mobility and advancement are attainable. For the MSN programs at the University of Arizona, which range from 1.5 to 3 years of full-time study, tuition is about $10,000 per term. Applicants are encouraged to contact the school's Bursar to discuss payment options, and whether financial aid may be available. Students are strongly advised against working while school is in session due to the rigors of the course material. Accelerating your career from RN to BSN, BSN to MSN or bridging programs from RN to MSN can have great advantages. Arizona offers these types of programs at four different colleges within the state making the option of attaining an accelerated degree more accessible. These programs can be quite an intense commitment as some of them are a full 12-month full-time commitment, whereas some of the bridging or part-time options can run for 30 months. The cost and admission requirements for these programs vary from one program option to another, depending on full-time course loads or individual online course options. Whether earning a degree or preparing to transfer, Mesa Community College's Nursing Department is both rigorous and flexible in accommodating nursing students. Located in beautiful Mesa, Arizona, MCC's students are in demand across the nation. Learn more by visiting the Mesa Community College nursing website. Scottsdale Community College's Nursing program is approved by the Arizona State Board of Nursing, assuring first-rate evidence-based teaching to eager nursing students. The city of Scottsdale welcomes SCC's nursing graduates with a variety of job and network opportunities. Get all the program details by visiting the Scottsdale Community College website. Located in busy Phoenix, Arizona, GateWay Community College is proud to provide students with an efficient path to an RN career. Highly regarded faculty and facilities means that GateWay graduates emerge ready to practice patient-based care. Visit the GateWay Community College nursing website to learn more. Paradise Valley Community College is located in the sprawling urban environment of Phoenix, Arizona and thus is home to many professional and academic opportunities for nursing students. Widely renowned as a high-quality nursing program, PVCC graduates are ready for practice in the healthcare field. Get all the program details by visiting the Paradise Valley Community College website. Eastern Arizona College, located in Thatcher, offers an associate's degree pathway to registered nursing which focuses on stellar patient care using evidence-based nursing processes. Graduates of this 72-credit program go on to find employment in a number of healthcare arenas. Check out the official Eastern Arizona College nursing program. The fully accredited nursing programs at Mohave Community College aim to inspire and empower students through nursing education, leading to success and excellence in the field. They offer both an associate nursing degree and an LPN to RN program to prepare the next generation of nursing leaders. Get all the program details by visiting the Mohave Community College website. Glendale Community College’s Associate in Applied Science in Nursing program fully prepares students for a successful and rewarding career caring for individuals across the lifespan. In addition to this, clinical experiences and opportunities are available at a variety of area health care facilities. Learn more by visiting the Glendale Community College nursing website. The College of Nursing in the University of Arizona is home to ethical and committed faculty members who work in the College's prestigious BSN and MSN programs. An integrative approach to teaching and care offers students a first-rate nursing education. Get all the program details by visiting the University of Arizona website. Located in Tempe, Arizona, Chandler-Gilbert Community College has a prestigious Division of Nursing and Health Sciences. With varied clinical experiences, nursing students use their practice and theoretical knowledge with great success in pursuing state licensing. Follow the link to learn more about the Chandler-Gilbert Community College nursing program. Rounding out the Top 10 programs in the state is Phoenix's Arizona State University. Their BSN offering utilizes clinical reasoning and innovation to prepare students for a rewarding career in registered nursing. Simulation experiences are included in the curriculum. Visit the Arizona State University nursing website to learn more.